Personal protective equipment (PPE) can protect you against chemical and physical hazard exposure. It is important to be aware of the hazardous materials you work with or which you may come into contact with, and adjust your PPE accordingly. Evaluate the scale and any deviation from your procedures, as this may influence a change in the protection required. PPE includes eye protection, gloves, maximum skin coverage and closed toe shoes. In some cases protection such as aprons, respirators, splash shields, ear plugs and specialized gloves may be recommended or required. If you think you need respiratory protection, you must contact EHS. Wearing respirators, including N95s, requires medical evaluation at UVA before you may use the respirator. There are several steps to complete in order to be compliant with the respirator protection program, contact EHS and we will help you through the process and train you in how to maintain and properly use your respirator. View our respiratory protection FAQ. If you have any PPE questions or would like to discuss PPE options for your particular situation contact EHS for assistance. We are here to help you pick the best PPE for your particual situation and to train you to properly use and maintain your PPE. Downloads and information to guide you in the proper selection, and documentation of assigned PPE in the workplace, are available below. If you have any questions please contact EHS. We are here to assist you! Hazard Assessment Form* word | pdf - The Hazard Assessment Form (Reference - 29 CFR 1910.132) includes a check box format for assessing the work activity, work related exposure and PPE. These modules are beneficial for general audiences and complementary to the University’s Personal Protective Equipment Policy. Guidelines are provided on how to perform a hazard assessment of the work environment and process to determine if hazards to the body can be eliminated and if not, how to choose appropriate personal safety equipment to prevent injury to affected parts of the body. Recommended training for persons who utilize areas where there is the potential for exposure or injury due to chemical or physical hazards. 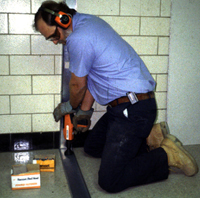 Training includes guidance on how to choose the appropriate eye protection for your application. Recommended training for persons who utilize laboratory, studio and/or shop spaces where there is the potential for hand injuries due to chemical and/or physical hazards. Training includes guidance on how to choose the appropriate glove for your application, and best practices when using gloves. Recommended training for persons who utilize laboratory, studio and/or shop spaces where there is the potential for injury due to physical hazards. Training provides an awareness of various physical hazards, safe work practices, and preventative measures to mitigate the risk of injury. Did you know that 60% of workers who suffered eye injuries were not wearing eye protection? Who is responsible to identify workplace hazards and provide appropriate PPE to employees? If I find hazards that cannot be controlled or eliminated and I must provide PPE to my employees, what are my responsibilities? 1. Did you know that 60% of workers who suffered eye injuries were not wearing eye protection? Answer -- Yes, 60% of workers who suffered eye injuries were not wearing any eye protection and only 1% of 770 workers suffering face injuries were wearing face protection. 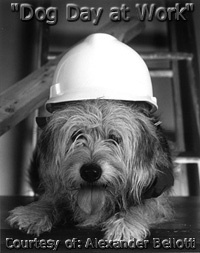 Hard hats were worn by only 16% of those workers sustaining head injuries. Statistics provided by Prevent Blindness America; Bureau of Labor Statistics. 2. Who is responsible to identify workplace hazards and provide appropriate PPE to employees? Answer -- The employer, UVA Managers and Supervisors. Federal Law (OSHA) makes UVA Managers and Supervisors responsible to identify potential workplace hazards. Ideally we want to eliminate hazards or reduce the risk of injury by providing appropriate PPE to protect employees. 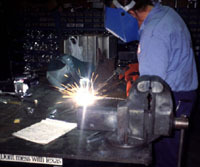 Workplace hazard evaluations must be documented and dated by the person(s) performing the evaluation. Identifying potential workplace hazards can be done with the assistance of EHS and using one of the following two choices for Hazard Assessment below. 3. If I find hazards that cannot be controlled or eliminated and I must provide PPE to my employees, what are my responsibilities? Answer -- Follow the steps outlined below. 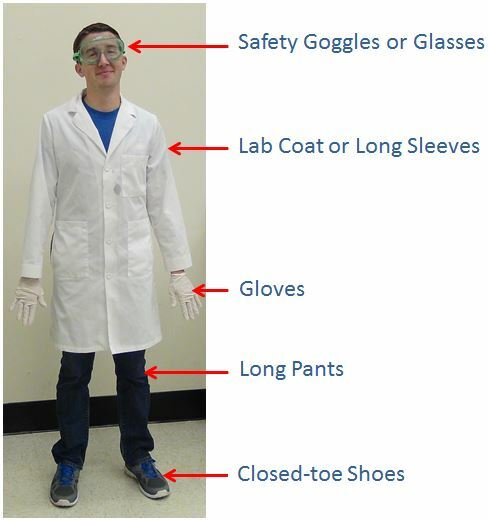 Employers (supervisors, lab managers, PIs) must determine the need and appropriate selection of PPE. This is required when hazards cannot be sufficiently controlled or eliminated altogether. Perform a worksite Hazard Assessment by completing either the Hazard Assessment Survey word | pdf or Hazard Assessment Form word | pdf, contact EHS if you require assistance. Provide PPE that is ANSI (American National Standards Institute) certified and that will prevent or significantly reduce injuries. PPE must be correctly fitted to ensure protection. Employees must be trained to understand hazards that may require PPE including: how to wear, inspect, care for and store their assigned PPE. * UVA would like to thank the Virginia Department of Corrections for the orignal templates for these forms.